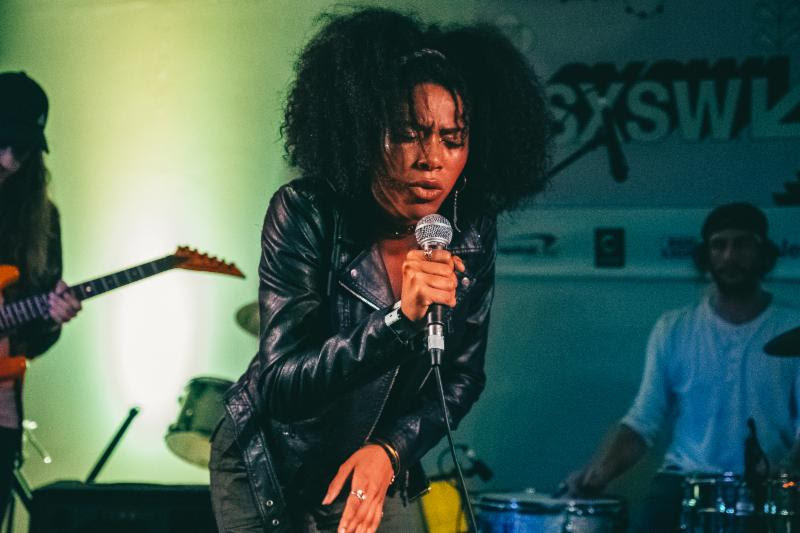 KOLARS [Left] and Adrian Jean [Right] performing onstage during The Bandsintown Official Big Break Showcase at SXSW 2019 on March 13, 2019 at Maggie Mae’s Rooftop in Austin, Texas. 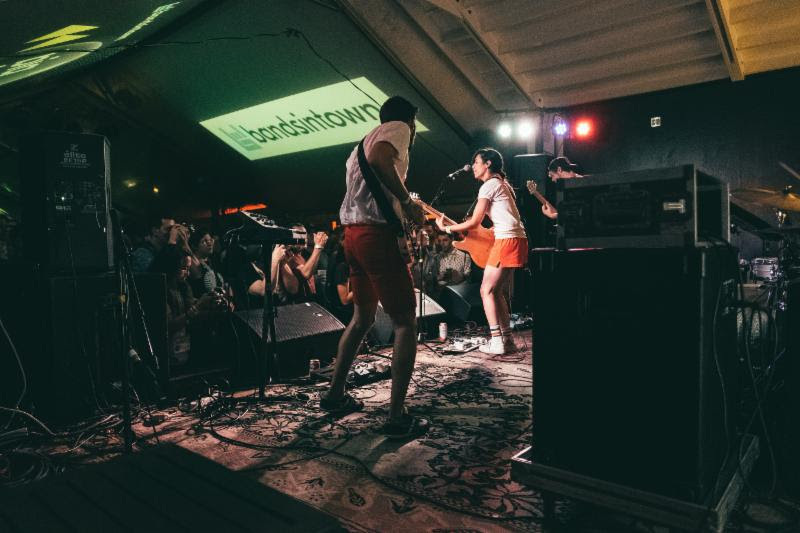 illuminati hotties [Left] and Herizen [Right] performing onstage during The Bandsintown Official Big Break Showcase at SXSW 2019 on March 13, 2019 at Maggie Mae’s Rooftop in Austin, Texas. 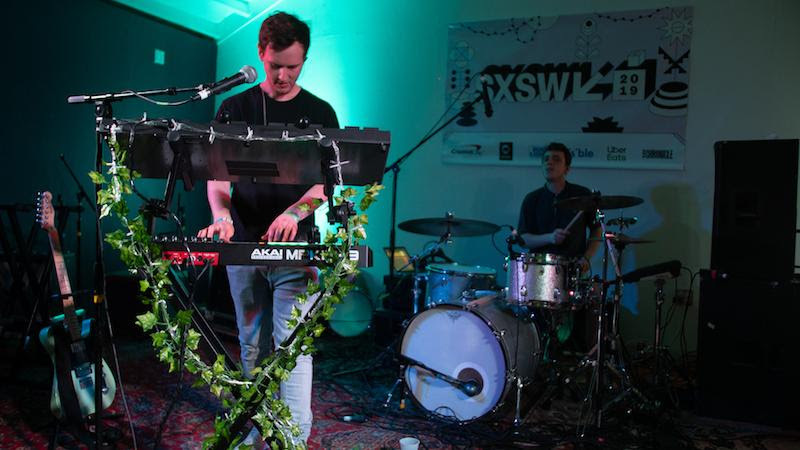 Reptaliens [Left] and Hazey Eyes [Right] performing onstage during The Bandsintown Official Big Break Showcase at SXSW 2019 on March 13, 2019 at Maggie Mae’s Rooftop in Austin, Texas. 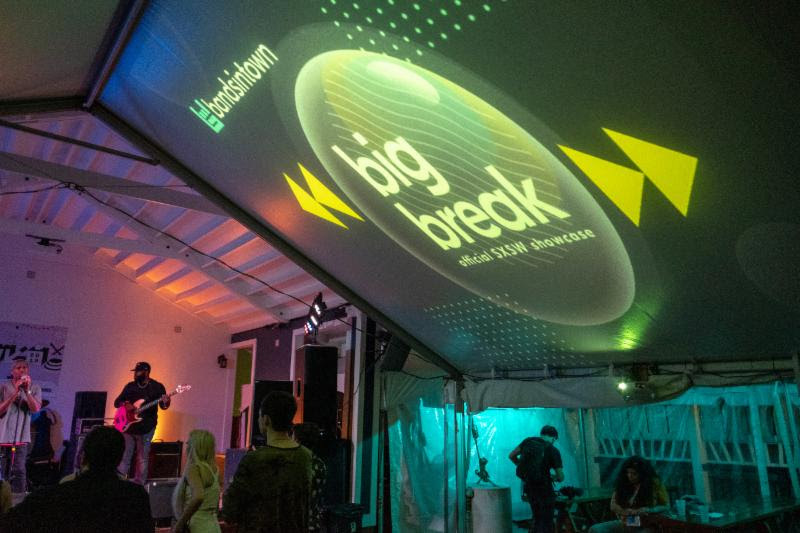 The Bandsintown Official Big Break Showcase at SXSW 2019 on March 13, 2019 at Maggie Mae’s Rooftop in Austin, Texas. WHO: R&B singer Adrian Jean, LA rock duo KOLARS, critically acclaimed indie-pop group illuminati hotties, R&B vocalist Herizen, Portland’s Reptaliens, and electronic solo act Hazey Eyes. 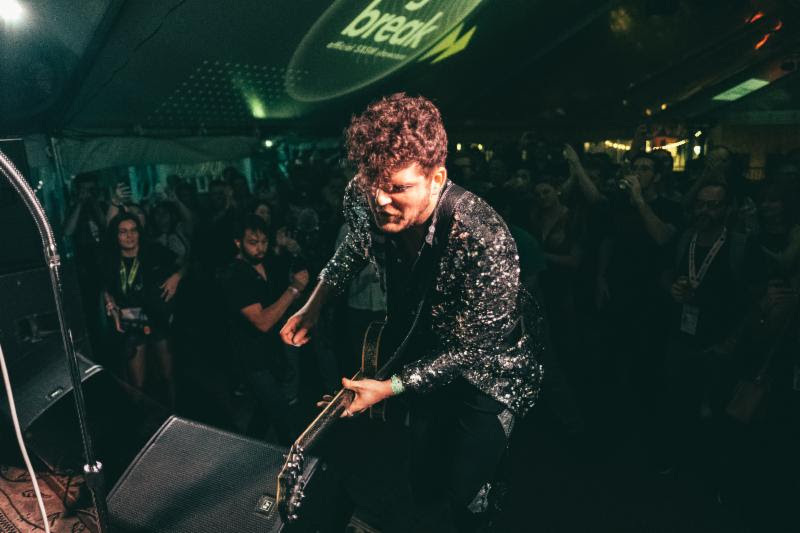 WHY: Bandsintown, the most trusted source for concert discovery that connects passionate music fans with the artists they love, has returned to SXSW for its second annual Big Break Showcase. 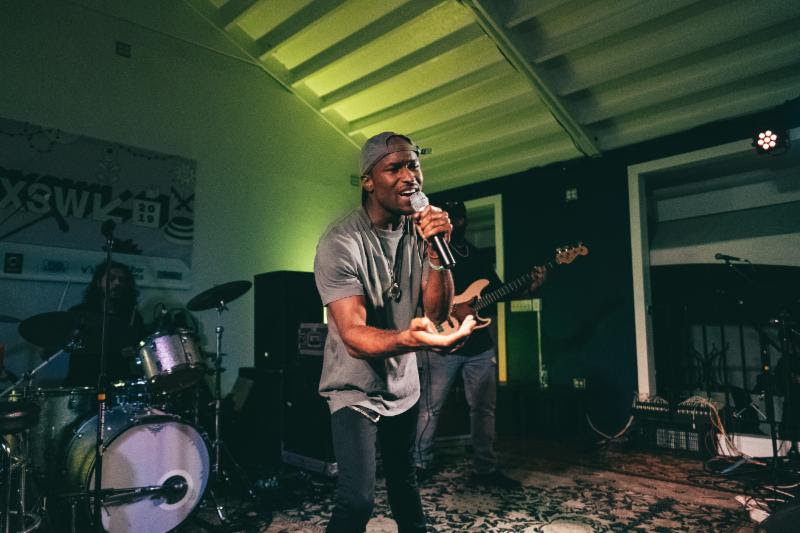 The festival’s first and only fan data-driven official showcase featured live performances by R&B singer Adrian Jean, LA rock duo KOLARS, critically acclaimed indie-pop group illuminati hotties, R&B vocalist Herizen, Portland’s Reptaliens, and electronic solo act Hazey Eyes. Footage from the showcase can be seen now HERE. Bandsintown’s “Big Break” is a fan data-driven emerging artist program that identifies artists who have demonstrated a notable increase of trackers on the platform within a six-month period. Thanks to their reach of 130 Million music fans, 50 million registered concert goers, and 500,000 touring artists, Bandsintown is able to tap into live music insights and see who concert-goers are obsessing over before everyone else. 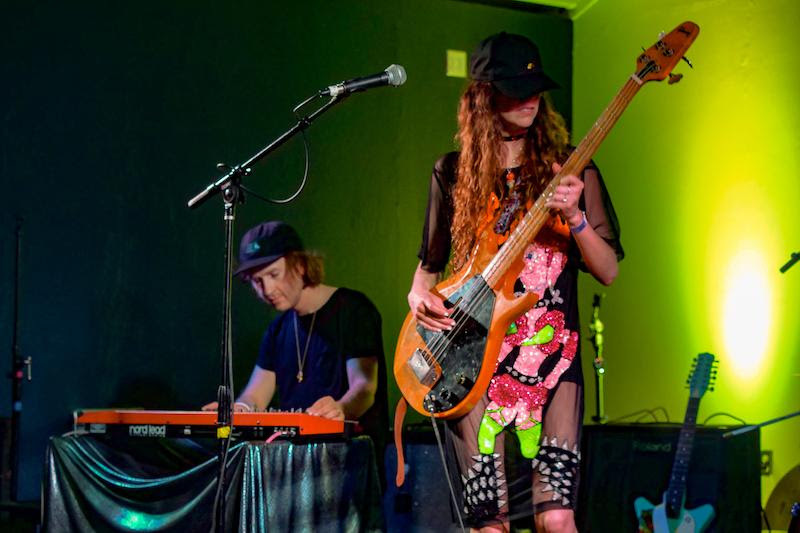 Artists who qualify for Big Break receive promotion across Bandsintown’s robust digital network, customized editorial, in-app features, brand partnerships, touring, special showcase opportunities, and social media promotion.